I moved to Berlin from the States for new experiences and friends. I came from a background in social work for non-profit organizations with various missions. An integral skill I found myself teaching at every organization was computer skills. This is key to empowering low income families to meet modern day demands, especially for job searches and retention, which is the foundation of stability for these families. Berlin gave me the opportunity to work in tech, Berlin Geekettes gave me the opportunity to connect with brilliant ladies, and I now leave inspired to tap technology’s enormous potential to help the low-income families I work with. 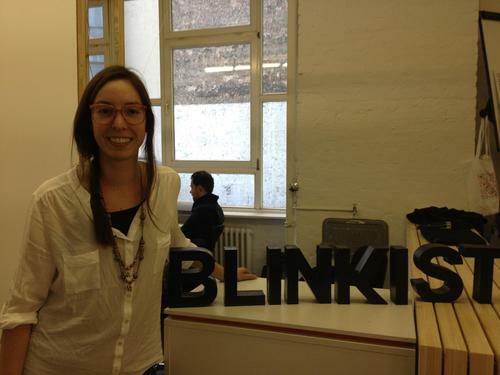 My role here was in the Marketing department of a Berlin born startup called Blinkist. My mentor was one of my best friends, Jess Erickson. Our relationship took on new dimensions with this mentorship. When we were in middle school, I used to help Jessica with her algebra because math came easily to me. It was now Jess’s turn to teach me something. As a PR pro, she coached me through editing a press release, the process of deciding which press to contact, and making introductions to journalists. During one of the busiest weeks of her year, Jess took time for her mentee during the product launch.This was also an important time for me to prove myself and Jess knew that. We contacted a handful of journalists, and through the authentic and professional nature of Jess’s relationships, every single one of them wrote about our product launch. It was a total success, and I am so grateful to have such a well respected mentor and good hearted best friend. The mentorship is much more than just getting help from someone who knows more than you do in a field, it’s about knowing you have someone to turn to if you hit a bump in the road. That peace of mind is priceless. Thanks BG!